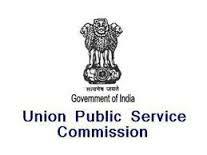 In our previous post we have already informed that UPSC has going to advertised its latest Recruitment Notification in which the Commission will going to conduct the Engineering Services Examination 2016 in the month of May this year and for this online applications has been invited from all the Engineering Degree Holders candidates and also from those who wanted to be appear for this exam and wanted to qualify the exam with bright colors. Interested candidates who possess the required qualification and age must apply through the online mode after completely satisfied from all the aspects of the recruitment and submit the e-application form before the registration closed. AEE(QS&C) in Military Engineer Service (MES)Surveyor Cadre. Indian Inspection Service (Asstt. Dir. Grade I). AEE(Electrical) of P&T Building Works Gr ‘A’. Indian Ordnance Factories Service AWM/JTS (Electronics and Telecommunication Engineering Posts). Junior Telecom Officer (General Central Service Group ‘B’, Gazetted, Non‐Ministerial). Central Power Engineering Service Group ‘B’ (Electronics and Telecommunication Engineering Posts). b) Part-II- Personality test will be conducted for only those candidates who qualify on the basis of written exam. How to send e-application form- Candidates who are interested to apply must click the link www.upsconline.nic.in for filling the online application form for the Engineering service exam.